With our free online Tango dance steps below you will learn how to Tango dance the most basic steps that are essential for the Tango. When you are learning the steps be sure to really understand the timing of each move as well as the technique you are using. These videos are from Passion4dancing’s dance training which you can visit here: passion4dancing.com. There you will find a lot more lessons available for Tango, Ballroom and other Latin styles. The way you count the tango is Slow, Slow, Quick, Quick, Slow (S,S,Q,Q,S). The slow is 2 beats and the quick is 1 beat of music. You need to fill out the timing very well so that you can show a real difference between the slow and quick counts. Learn how to Tango with the Tango basic steps. It consists of three forward walks, followed by a side step and lastly a drag step. The drag step is when one leg closes to the other leg without changing weight. Now you will learn how to turn the basic step you learned on one spot. This Tango dance step allows you to move around the other couples who may be in your way. In this step you will learn how to do a very nice shaping move. The man will lunge back on his left leg and shape the ladies over their right legs. The ladies can bend their shoulders and necks back as much as they want to create the illusion of a back bend. For those who want the very best Latin and Ballroom dance instruction, you need to check out Passion4dancing.com where you can get access to over 100+ video lessons including tango dance steps. Each of the video breaks down the footwork, timing and provides extra tips. Once you become a member you will get unlimited access to everything. Did you enjoy this mini-video course? If yes please share this page with your friends and leave a comment below. 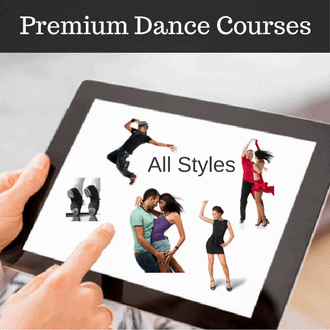 Want more free mini Ballroom dancing courses?